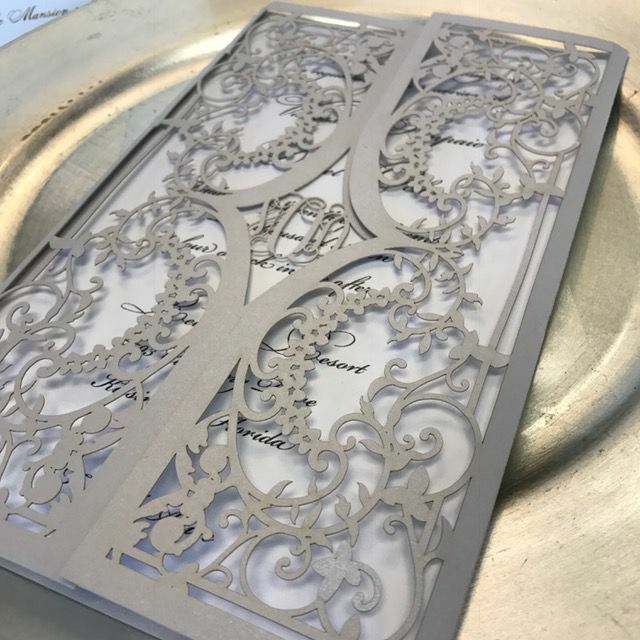 The Scalloped Lace Laser Cut Gate Invitation features a lace inspired design with a laser cut monogram in the invitation center. 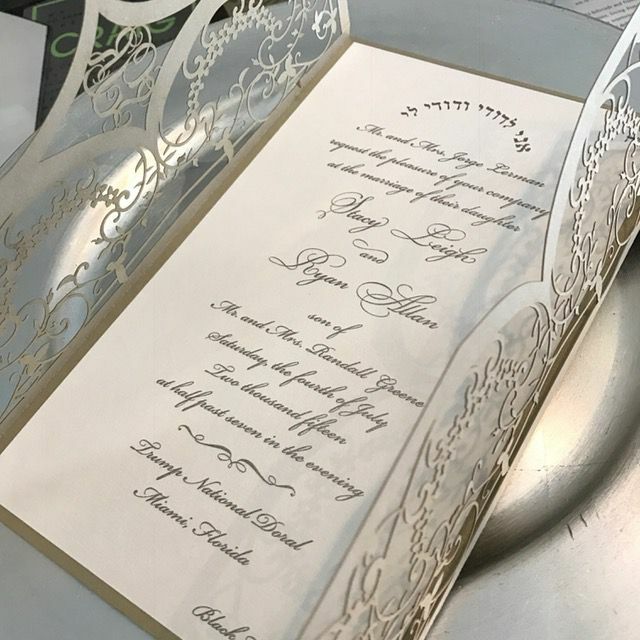 The Invitation opens in the center to the inner wording layer. 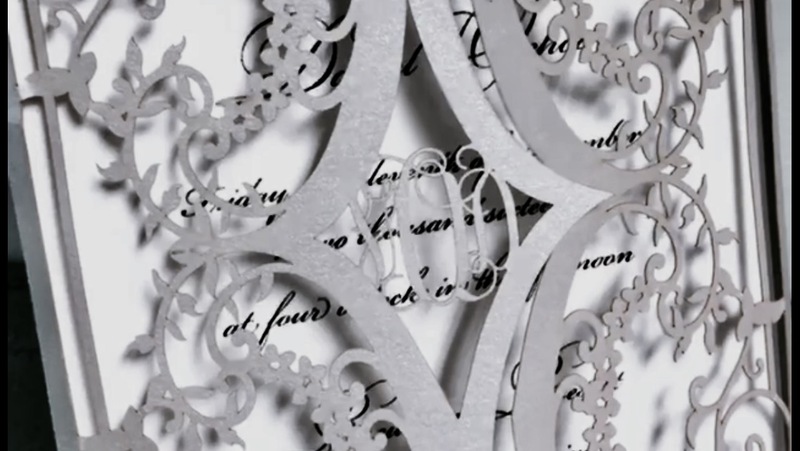 The Scalloped Lace Laser Cut Gate Invitation features a lace inspired design with a laser cut monogram in the invitation center.&nbsp; The Invitation opens in the center to the inner wording layer.